This entry was posted in Crime fiction, Fiction, French Culture, French Literature, Translation and tagged Crime fiction, French literature, Jean-Claude Izzo, Marseilles Trilogy, Mediterannean noir, Total Chaos, translated fiction. Bookmark the permalink. I think I must hunt this out. Can you tell us about the ring of (?) cellos on the hillside? I’m glad I asked. Interesting stuff. Thanks. So am I, I’d actually forgotten I’d written that post! It’s so rare I write about something other than books. This trilogy has been on my wishlist for the longest time! I really must get around to trying it at some point. The combination of the complex relationships and the rich nature of the setting make it very appealing. I couldn’t help but think of Ferrante’s Neapolitan novels as I was reading your review, probably because those books also explore the dark underbelly of a city, complete with all its complexities and dangers. That’s interesting that you make a connection with Ferrante Jacqui, Izzo’s father was a barman from Naples and his mother a seamstress from Spain and it’s not surprising that the eulogy was written by the Italian writer and playwright Massimo Carlotto. While it’s not a coming of age story, it’s his depiction of the city as you say that brings to mind Ferrante, that thing that gets under the skin of its inhabitants, who can’t stay away for long, they’re always drawn back, no matter how much they may wish to escape and in this case, they all bring something of their ancestral connection with them. This does sound interesting. 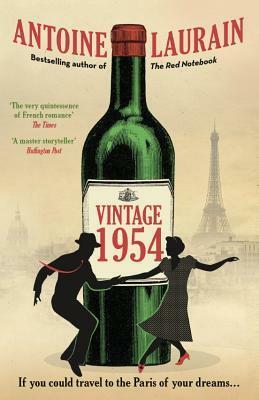 I’m not a huge reader of crime but the depiction of Marseilles seems really evocative, I’d like to try this out. I love the cover, too many modern French novels seem to pass me by, I doubt I will get it in this part of the world (no Amazon here and it takes at least a month for books to arrive) but it certainly sounds great and seems to beg an accompanying soundtrack CD with it.